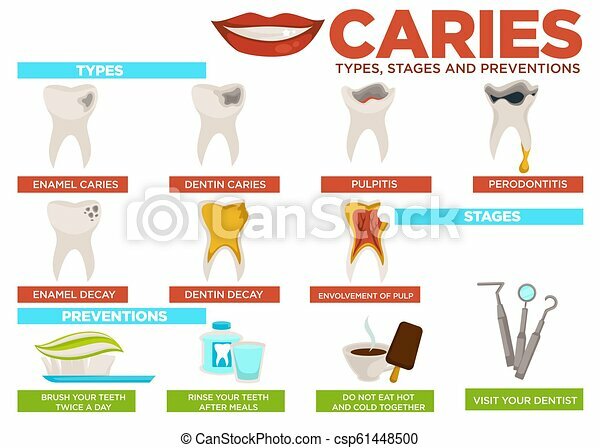 Caries types stages and prevention poster with text vector. enamel and dental problems, pulpitis and periodontitis, decay and involvement of pulp. brush teeth, avoid hot and hot meal, visit doctor.